The idea of having your own breakfast bar will boost your mood at morning. It may be located near your dining area or next to the window. However, you may need more furniture, lighting, and space to build breakfast nook as your desire. Eat your breakfast or just drink your coffee will be more exciting. A small breakfast with just two stools can definitely boost your mind. Different wall patterns and a window can dramatically upgrade this breakfast nook. This design works well for a small house or apartment. Take a look at this kitchen with stones on the wall that look so earthy. Then, beautiful white and wooden countertop elements make this breakfast look rustic but also modern. You can ask your friend to have breakfast with you. Though bricks usually used for traditional kitchen design, at this term bricks add more aesthetic value that bring the breakfast bar into modern luxury kitchen. 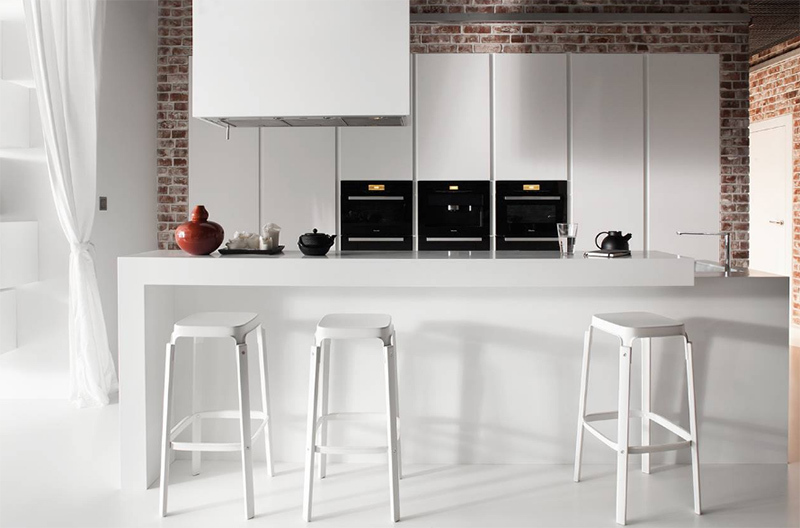 With white basic color, this kitchen even appears larger than you think. 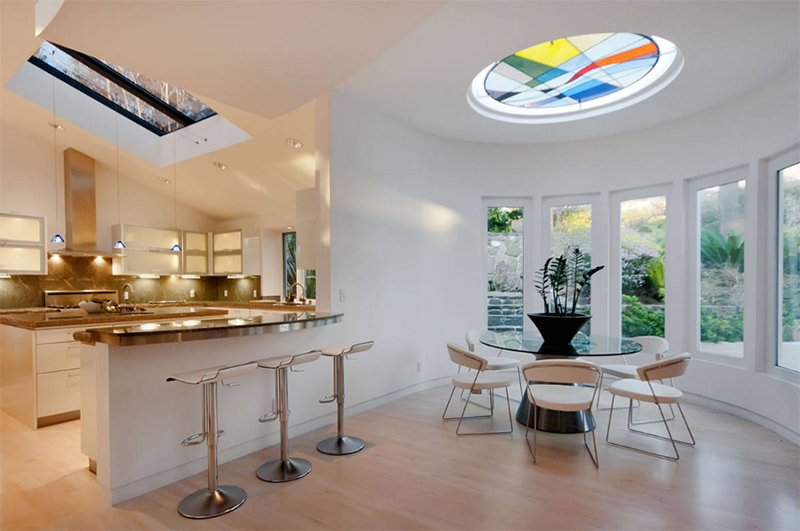 What a wonderful kitchen design with two places for having breakfast. Here, you can see a breakfast bar and breakfast nook right near the window. So, you may choose where your will sit to enjoy your morning snacks and coffee. Wooden kitchen already looked inviting. The role of white color tone makes larger effect. Then, the stools made from wood also improve this breakfast bar. Enjoy your breakfast time at this beautiful breakfast bar. The use of iron or wire chair brings this breakfast bar into industrial appeal. With wooden table that looks traditional, this room comes to boost your mood at morning and increase your spirit to do your activities. Steel casement window will give this breakfast bar more light at morning. So, you will see the beauty of sunrise while enjoy your hot coffee and some cakes. Have a great breakfast with your spouse, then. Black counter-height chairs are perfect to have breakfast this morning. Let see how it combines with black floor that looked so elegant and chic. Three glass windows add more natural light that feel cozy and calm. This luxury kitchen comes with bold red chairs at the breakfast nook. Many lights on the ceiling makes this room appears inviting.